This level has hard difficulty and you need to use good technique to complete this level. For this level you should try to play from the bottom of the board to shuffle candies and make special candy as you get the chance. 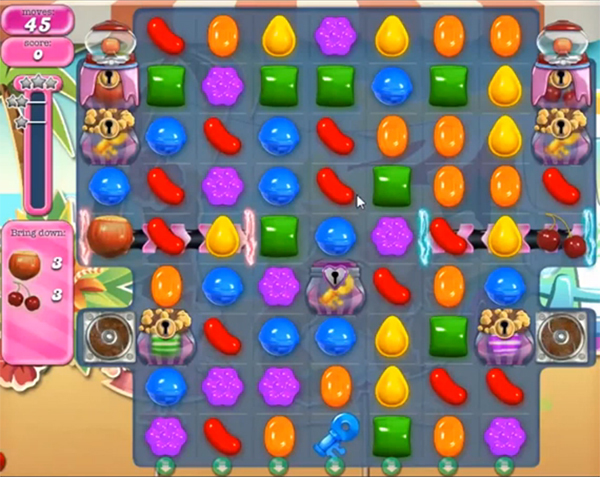 Try to combine special candies to each other to break keys and take ingredients to the bottom within 45 moves. I Just reach this level and I know already, not to do. And this is not a fifficult level? Half Seat i broke up this level cause you cant get the good combination, so you Will play iT less and less, not waisting my time on this level. What a fu**ing game, i am done with it.